Riding a scooter is one of the most fun activities most of us did as kids. You get around fast, you can do cool tricks, and it always brings joy to the rider. Once we got a little older though, it’s not so easy to ride scooters anymore. They’re too small, and they don’t support very much weight at all. 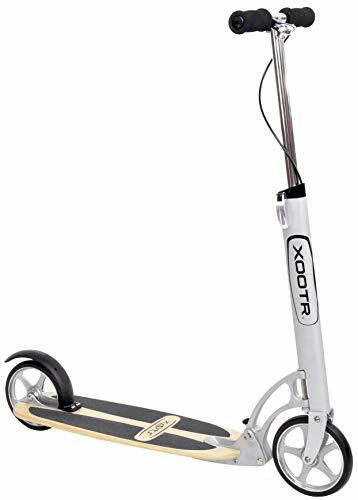 However, the Xootr Adult Kick Scooter is a completely different story. With the Xootr Adult Scooter, you can get all the fun and joy you had growing up but in a scooter meant for adults. Smaller scooters aren’t big enough to 1) support the weight of most adults, and 2) accommodate for the height of most adults. They’re simply too compact for us to have any fun on, not to mention the neighbors might think you’re a little strange riding on a kid’s scooter. 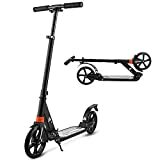 The Xootr Scooter is perfect for adults because it has a super wide foot platform to allow almost any adult to put their feet side by side while riding. While normal scooters have a skinny platform, you can ride comfortably on the Xootr. They’re also made to be incredibly durable and support much more weight than a kid’s scooter. With all this information, you probably want to get down to all the notable features and details that come with owning one of these adult scooters. Instead of leaving you to do all the research yourself, we went ahead and covered that for you! 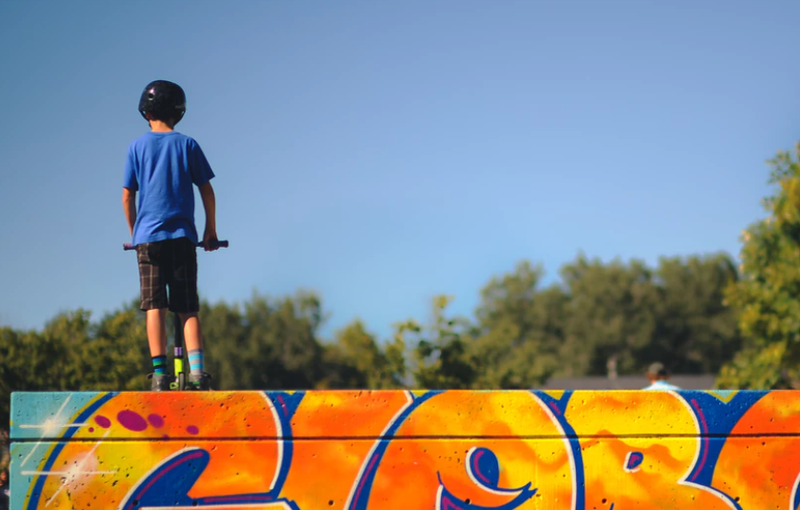 It’s no secret that adults need a more durable scooter than kids do. After all, we’re bigger in every way! The crazy thing is that a lot of adult scooter brands don’t even put enough consideration to this. They’re producing ‘adult’ scooters with weight limits around 150 pounds. The problem is that there are far more adults above that weight limit, which cuts out a massive chunk of potential customers. The good news is that the Xootr Adult Scooter is actually meant for all adults! With the largest weight limit we’ve come across in the industry of adult scooters, there’s no way literally anyone wouldn’t be able to ride one of these scooters. 800 pounds is the maximum weight limit which blows all competition out of the water! It’s also made of incredibly strong materials that make these scooters incredibly hard to break. You can drop it, crash it, whatever you do these adult scooters by Xootr are unbelievably durable! They’re made of Baltic Birch wood, which is known across the world to be one of the most durable woods around. Coated with polyurethane and topped with grip tape, there’s nothing that’ll let you slip or break through these scooters. Being able to brake in the most comfortable way is incredibly important. Think about how it would be if the brake pedal on your car was by your hand or on the door. It wouldn’t make sense, and it’d probably end in a crash. Scooters are very similar since they usually have only one braking option or none at all. Most scooters either only have a rear wheel brake or no brake, which requires you to slow yourself by stepping on the ground. Not only does this tear your shoe up quickly, but it’s not safe at all. Slowing this way can seriously diminish your chances of braking when you need to, especially in sudden situations. Luckily, the Xootr comes with two different braking options. If you’re comfortable with the classic rear wheel brake, you can slow down and halt that way. If you prefer to same handlebar breaking method as with most bicycles, then this adult scooter features one of those to use as well. With multiple methods available, there’s no way you could ever have an issue slowing down and braking when necessary. Have you ever noticed how our youth seems so happy? Something bad happens and ten minutes later, they’re back to their same level of joy that they had before. Playing outside has been scientifically proven to boost serotonin, which is largely responsible for making a person happier. We’re not saying that buying an adult scooter is the key to happiness, but it sure is a good start! It’s unfortunate that there has to come a time when we have to stop having fun and act like adults. So what if we want to ride on a scooter! Adult scooters are perfect for anyone looking to bring back those good times when we had endless joy and no cares in the world. After work, jump on your scooter and ride around the neighborhood to clear your mind. If you’re feeling a little bit more adventurous, try a few tricks. There are all kinds of fun times to be had on a Xootr scooter, even if it just means listening to some music and riding around the block a couple of times. Nothing says youthful energy and happiness like an adult scooter riding session after working all day! + With an 800-pound weight capacity, virtually anyone in the world can ride on a Xootr Adult Scooter. They’re also made with an incredibly wide platform to fit both of your feet side by side without worrying about slipping off or having to constantly put your foot back on the ground. + Works for adults up to 6’7” with adjustable handlebar height. For some reason, so many adult scooter brands limit themselves to only 5’10”, which cuts out a large amount of the adult population. At 6’7”, almost anyone can ride on one of these scooters. + The patented quick folding and unfolding mechanism allow you to pack up or get ready to ride in seconds. Most other scooters have a complex latch system that makes most of us just tuck it away without folding it up! Luckily, the Xootr uses a special system that makes it easy to pack up and put away without a problem. + The double braking system gives a massive peace of mind to any rider. You get to choose between breaking with the handlebar brake, or the rear wheel brake. Most other scooters give you only one option, or make you rely 100% on stopping the scooter’s acceleration with your foot on the ground. + Since it’s not made of metal, you can’t really do any grinding tricks. Doing so would wear down the wood and clear coat, which could eventually crack the scooter. However, not many of us adults have a desire to go scooter grinding on a rail or a sidewalk, so it’s not too bad! + Many people prefer metal over wood because metal doesn’t crack and break down. However, wood doesn’t rust, and it doesn’t have any sharp edges as metal does. On top of that, the clear coat on this wooden-based scooter is water-resistant due to the coat. The Xootr Adult Scooter is suitable for anyone looking to have a good time. Scooters have and always will be a perfect way to relax and have a little bit of heart-pumping fun. It’s a great form of exercise, as well as a simple way to get back to your roots. We all rode around on scooters as a kid, so why should we stop now? Regain that youthful energy and fun with one of these awesome, unique adult scooters! Finding a product that covers both energetic fun and practicality is tough when it comes to action sports. Most of us adults don’t want to ride around on a scooter meant for a 4’8” kid, it might look a little strange to the neighbors. However, these Xootr Scooters are clearly meant for adults. With such a wide platform and tall height, there’s no way it could be confused with a kid’s scooter. On top of that, we absolutely love the exercise that one of these adult scooters provides. 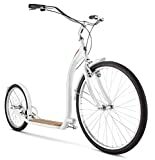 Riding it around the neighborhood is always a fun excursion, but try riding it to work, school, or the store sometimes! It’s a great way to get your heart rate up and have a fun time doing it. Walking or going on a run isn’t for everyone, but you might as well ride one of these scooters if you have to go to the store nearby! We also loved the durability and stability that comes with the wide Baltic Birch wood platform. It’s much harder than you’d think to find an adult scooter that accommodates for adults of all shapes and sizes. 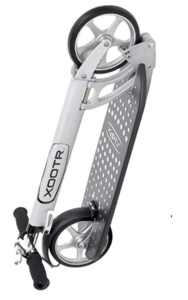 When we came across the Xootr Adult Scooter, we knew it was a special item because of the simple fact that it can hold a 6’7”, 800-pound adult! Nobody falls out of those limitations, so it was a perfect match. Xootr scooters aren’t the answer for a better form on long-distance traveling, but they’re the perfect answer for cruising around town, getting some quality exercise, and regaining the youthful energy that all of us seek on a daily basis!